Newton follows up Monday's piece on Benjamin Franklin with a look at how Thomas Jefferson was a founding father not only of America, but also of American science. Thomas Jefferson was a pioneer. Of this you are undoubtedly aware. He played a pivotal role in crafting the Declaration of Independence. He helped mold and nurture our political system when it was young and susceptible to corruption. He struck the greatest bargain of all time when he arranged for the purchase of the Louisiana Territory from France. What you might not know about Jefferson was that he was a "statesman of science." 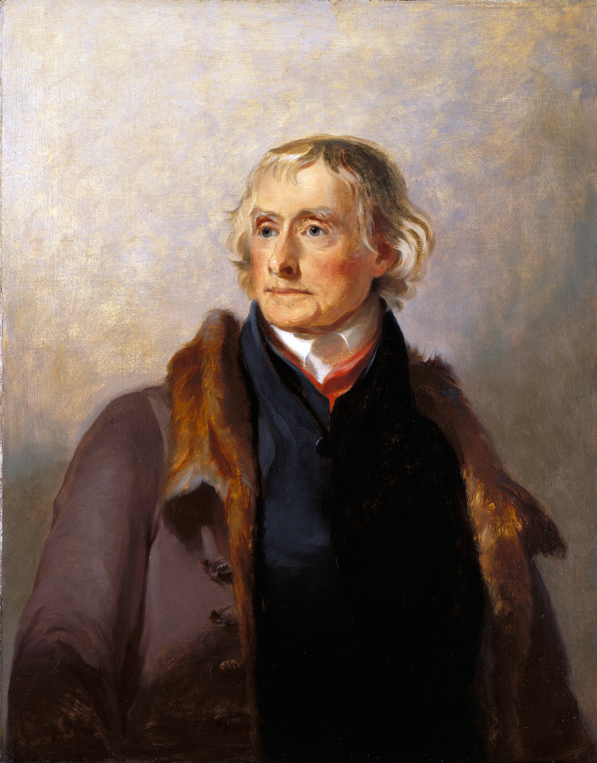 For over two decades -- including the time when he was President of the United States -- Jefferson served as president of the American Philosophical Society, the preeminent scientific foundation at the time (and coincidentally founded by Benjamin Franklin). In this dual role, he effectively served as America's scientific leader, as well as its political leader. "Nature intended me for the tranquil pursuits of science, by rendering them my supreme delight..." Jefferson said in 1809. As this quote makes overt, Jefferson was supremely fascinated by science. His hobbies included -- among many others -- paleontology, archaeology and agriculture, each subjects to which he made noted contributions. In addition, he absolutely adored mathematics. "When I was young, mathematics was the passion of my life," he said. In government, Jefferson promoted science on a national scale. He recommended that Congress commission a survey to accurately chart the coast of America, a project that would later evolve into the National Geodetic Survey. As secretary of state, he headed the patent office and was instrumental in laying the groundwork for patent law. Though he invented the folding chair, the swivel chair, the polygraph and many other items that we today take for granted, Jefferson never patented any of them. Like Benjamin Franklin, he believed in the "natural right of all mankind to share useful improvements without restraint." His inventions and ideas didn't belong to him; they belonged to everyone. American example has kindled feelings of right in the people," he said. Over two centuries ago, Thomas Jefferson helped endow our country with the means to flourish in the world of science. Today, we all have our own opinions on the problems and faults of American science. But despite these shortcomings, I think that Thomas Jefferson would be proud of all that we have accomplished. To honor his instrumental contribution, we must make every effort to uphold America's lead in science and innovation.